Probiotics have taken an even greater plunge into the mainstream. The mint form of these probiotics are now stocked in over 7,000 stores throughout the US. Allegedly, this probiotic mint is supposed to help encourage good health for the teeth and gums. It is said that this oral probiotic supposedly has teeth whitening qualities, as well as the ability to banish bad breath. Streptococcus mutans is the main bacteria that causes tooth decay, and this bacteria transforms sugars in the mouth (from snacks, meals, etc.) into acids, which in turn attack the enamel of the teeth and possibly cause lesions or caries. 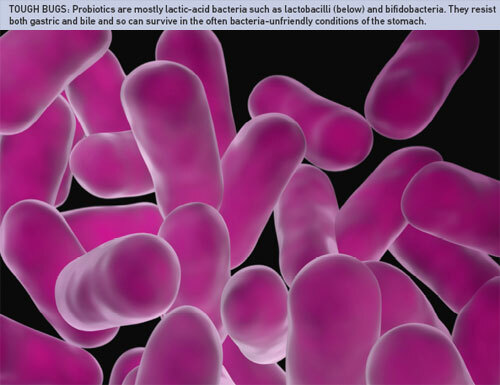 This probiotic targets this bacteria and helps prevent the damage it can cause. Obviously, more research has to be done on these new probiotics before further developments and assumptions can be made. We are finally seeing the probiotic market expanding throughout the US, after being stuck in a smaller niche for so long. Other companies are doing research in hopes to formulate a type of probiotic that fights against dental caries. Some of these new formulas will likely have the probiotic Lactobillus paracasei, which binds to the bacteria that causes caries and groups them together. Also, Aktiv-K12 is an excellent probiotic that helps prevent and treat bad breath, so check it out! Post Nasal Drip and Nasal-Sinus Congestion Will Cause Bad Breath!